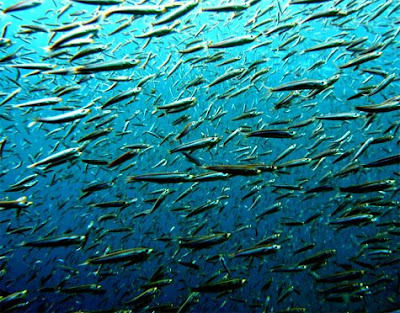 The ordered movement of the shoal means the fish can reach their spawning ground more quickly and more safely. "This is truly a commute," says Professor Makris. "And there are truly cities of fish down there. Interesting BBC article on the intelligence of schools of fish. What drives the human being? Or led to believe they are creating a new majority? Nah, a fish in the water...at high tide.